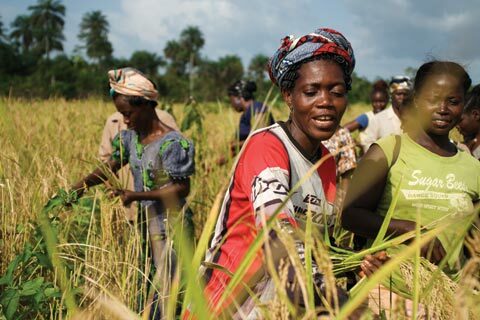 A new report published last week by the World Bank Group and The ONE Campaign, says that tackling the pervasive inequality faced by women farmers across Africa is critical, if the continent is to reduce poverty, boost economic growth and feed its growing population. The report – ‘Leveling the Field: Improving Opportunities for Women Farmers in Africa’, examines the scale and causes of the dramatic differences between how much men and women farmers produce in six African countries; Ethiopia, Malawi, Niger, Nigeria, Tanzania and Uganda. Together, these countries make up more than 40 percent of Sub-Saharan Africa’s population. 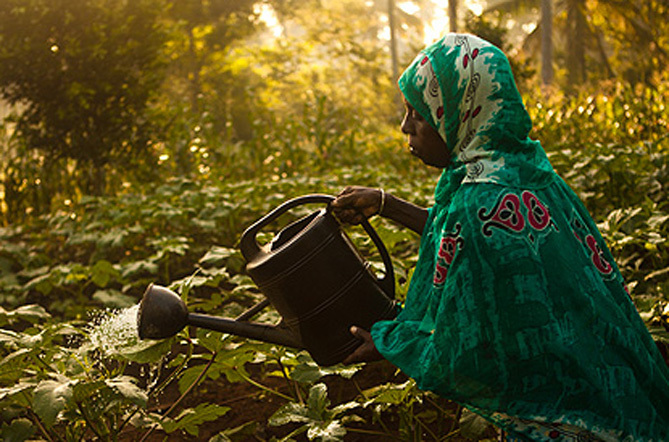 The report reveals deep rooted gender gaps in African agriculture. It identifies key factors that are holding back women farmers, and sets out concrete actions that policy makers can take to reduce inequality. Closing this gap can help boost household incomes and livelihoods, as well as provide cheap and nutritious food to Africa’s growing population, say the authors. Vice President for the World Bank’s Africa Region – Makhtar Diop, says that: “This report presents the clearest evidence to date about the breadth and depth of the gender gap in African agriculture. The report found that although almost half the agricultural workers across the continent are women, productivity on their farms is significantly lower per hectare compared to men. It identifies and discusses policy interventions that could help narrow and eliminate gender inequality. In the six countries profiled, women produce less than men, ranging from 13 percent in Uganda to 25 percent in Malawi. 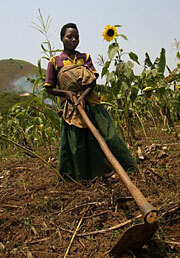 The report concludes that; Equal access to resources such as fertiliser, farm labour and training does not always translate into equal returns for women farmers; Policy interventions like securing women’s land rights and improving their access to hired labour are critical for reducing the gender gap and expanding economic growth which is needed to end poverty. The authors of the report say that agriculture has enormous potential to drive inclusive economic growth, improve food security, and create job opportunities for millions of Africans. Two thirds of Africa’s citizens depend on farming for their livelihoods and more than 90 percent of the poorest people engage in agriculture. They conclude that; given equal access to productive resources, women farmers worldwide could increase farm yields by as much as 20 to 30 percent, meaning 100 to 150 million fewer people would go to bed hungry every day. The report is particularly timely as the African Union has declared 2014 to be the “Year of Agriculture and Food Security”, bringing much needed attention to the farming sector’s potential to transform the continent. 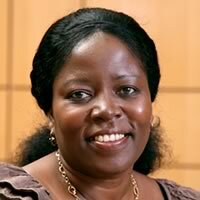 ONE Africa Director – Dr. Sipho Moyo (Photo), said: “We ignore this gender gap at our peril and ultimately at great social and economic cost. It is a real injustice to Africa’s women farmers and their families that women make up nearly half of the labour force in agriculture but, on average, produce less per hectare than men. “This absurd gender gap further undermines the sector’s potential to drive inclusive economic growth, improve food security and create employment and business opportunities for millions of young Africans entering the job market every year. In order to close the gender gap, the report calls for African governments to address key policy areas which will help empower women farmers. It recommends; strengthening women’s land rights; improving women’s access to hired labour; enhancing women’s use of tools and equipment that reduce the amount of labour they need on the farm; providing community-based child care centres; and encouraging women to use more, higher quality fertiliser. The report also recommends; increasing women’s use of good quality seeds; tailoring training to women’s needs and using social networks to spread agricultural knowledge; promoting the cultivation of high-value and cash crops to women farmers; helping women access and participate in markets; and improving the education levels of women farmers. Based in Johannesburg, Dr. Sipho Moyo is in charge of overseeing ONE Africa’s presence and work in the continent. Sipho has more than 18 years of international development experience, working for multilateral organizations such as the World Bank, the UN and IFAD in Rome. Before joining ONE, she worked for the African Development Bank, where she managed the bank’s largest multi-sector portfolio.